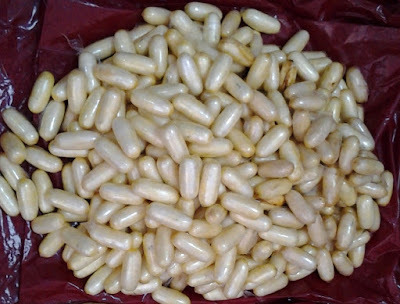 A 55 year-old female pilgrim arrested at the Nnamdi Azikiwe International Airport (NAIA) Abuja has excreted wraps of cocaine weighing nine hundred and thirty-one (931) grams. Mrs Binuyo Busari Iyabo who hails from Irepodun local government area of Kwara State is married with three children and sells cosmetics at Dosumu market, Lagos. In her statement, she owned up to the crime and also provided investigators with useful information. Describing her action as shameful and discreditable, the Chairman of the National Drug Law Enforcement Agency (NDLEA) Muhammad Mustapha Abdallah warned against trafficking in narcotic drugs and psychotropic substances.He said that drug traffickers shall be severely sanctioned in line with anti-narcotic laws of the land. “It is a shameful and discreditable act for a 55 year old mother who is going on a holy pilgrimage to ingest narcotics. This is very shocking and a clear indication of her inability to effectively discharge parental responsibility. The Agency shall invoke the powers of the law against her and others caught indulging in production/trafficking in narcotic drugs”. NDLEA commander at the Abuja airport, Hamisu Lawan confirmed the total number of wraps of cocaine ingested by the suspect while under observation. “Mrs Binuyo Basari Iyabo while under observation expelled eighty-two wraps of cocaine weighing nine hundred and thirty-one (931) grammes. All arrangements have been concluded for her prosecution”. Hamisu stated. In her statement the arrested woman said she wanted to expand my cosmetic business but I had no money.“My sponsor offered to foot my expenses to Saudi on pilgrimage. This was how I got involved in the act. I was excited until the issue of drugs was introduced. I wanted to decline but it was late. Besides, I was offered a million naira which I accepted. I swallowed the drugs in Lagos and took a flight to Abuja on my way to Medina but I was caught in the process” she told investigators. NDLEA Chairman called on members of the public not to get involved in drug trafficking and other criminal activities capable of exposing them to ridicule and undermining their good reputation.